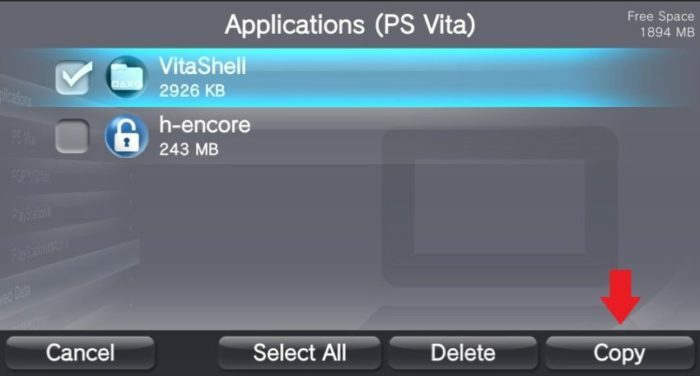 Once you have hacked your Vita, Vitashell will take the place of the content manager in allowing you to connect to your PC through USB or FTP server. If for whatever reason you lose access to VitaShell (such as formatting memory or accidental deletion) and did not back it up in QCMA, follow this guide to reinstall it. This guide is for Windows computer. You need to have a PSN account linked to your Vita. If you never logged into your Vita before, just log into the PS Store ONCE. That's all it takes to link your account. 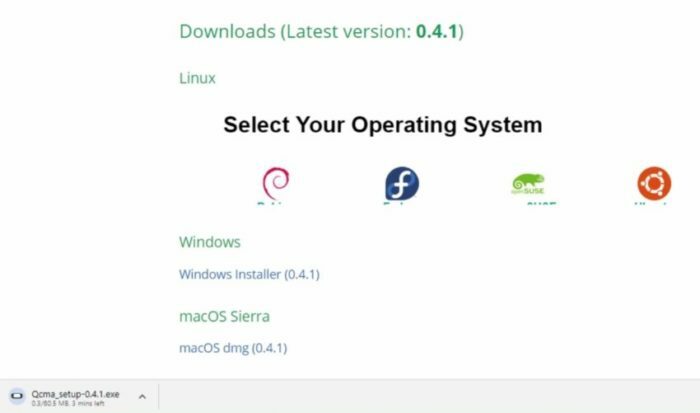 Download the program for your operating system (this guide will be in Windows). Download and install the appropriate program for your PC. This guide uses the win64-setup.exe. It will appear in the system tray on the bottom right corner. Right click on the Qcma icon and go to settings. In the settings, make sure to select the correct firmware on your Vita. Then click OK. Step 5: Launch Content Manager on PS Vita. 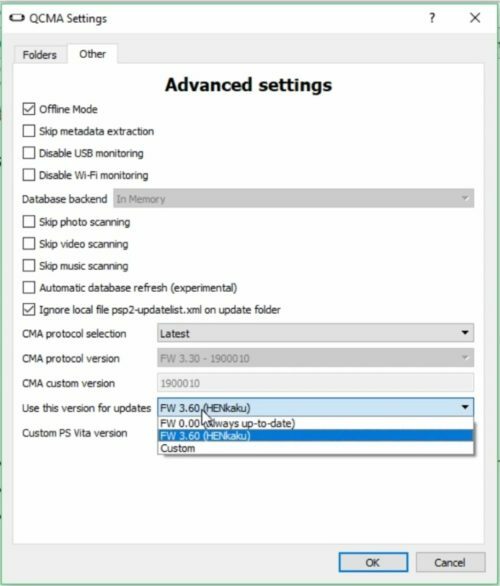 Connect your Vita to your PC through USB and go to the Content Manager. 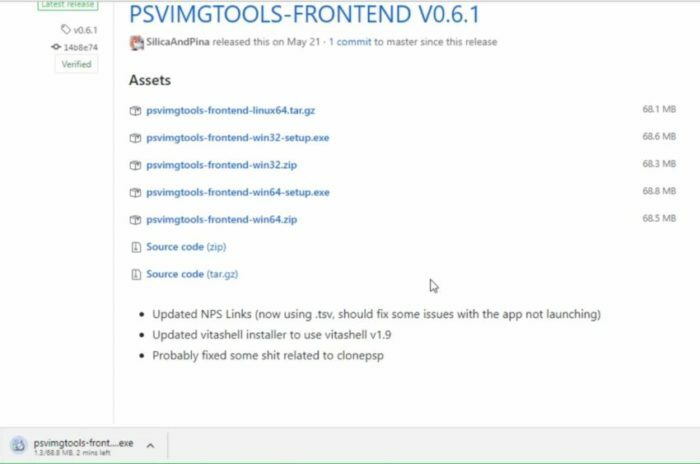 Click on Copy Content and then run psvimgtools-frontend (might need to run as Admin). Note: If you are not connecting, see if you have USB charging on in settings and turn it off. Let PSVImgTools run and wait for the pop up to appear. 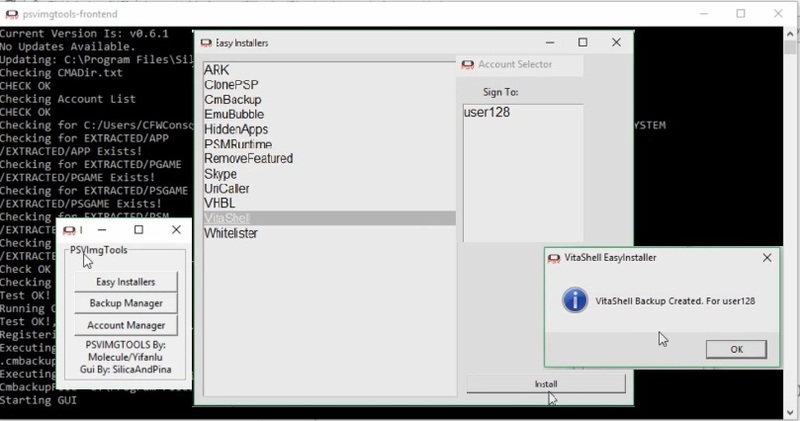 Click on Easy Installers / VitaShell and click Install / Sign to: User### and click Choose Account. 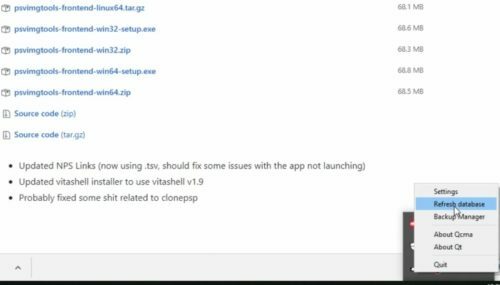 Wait for PSVImgTools to say VitaShell Backup Created. Step 7: Refresh database in Qcma. Right click on Qcma in the taskbar again and select Refresh Database. Wait for a quick pop up and then go back to the Content Manager in the Vita. Step 8: Copy VitaShell Onto Your PS Vita. Click on PC - PS Vita System / Applications / PS Vita / VitaShell and press Copy. You will see “The selected content items will be copied to this system” and then wait for the copying to be done. Step 9: Go Back out to the Home Screen. Go back out to the home screen and scroll all the way down to see the bouncing VitaShell bubble. I’ve got SD2VITA on my UX0 but I’ve realised that I’ve got a massive problem if it corrupts or I lose it or something. As long I can get Vitashell back I should be OK. Is moving it to UR0 an option? If you are concern about losing everything, you should back up the contents of your sd card to your pc. You want to move everything you have on ux0 to ur0? Just a reminder that PS Vita games have to be on ux0 in order for it to launch. No, sorry, what I meant was, if Vitashell is somewhere on the internal memory, then it would be easier to access it again and restore everything else to ux0 via USB if something bad happened. Absolutely, I recommend doing that. I have H-Encore backed up on my internal memory. how can i restore my pkgj? i don’t know what happen when i open it, all the apps names was vanished. The first step is to get back Vitashell. 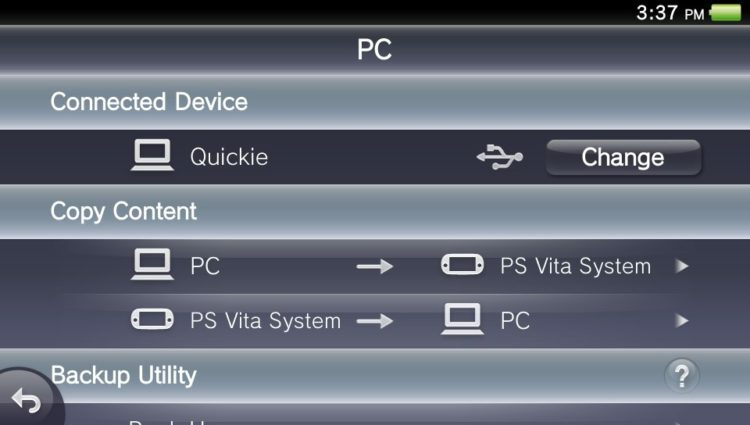 With Vitashell installed, you can install back everything you lost.